It is time to say goodbye to two members of the OCC Design Team who have been such an amazing part of the creative journey here at Our Creative Corner. I am sure you will all agree that both of them have been amazing members of the Design Team and I hope that they leave with many happy memories of their time spent here sharing their creativity to inspire all of you. Tomorrow we begin a new challenge led by our wonderful Astrid! This is her first time being the Challenge Host for the OCC and she has come up with such a gorgeous challenge for all of you - I know you will all love it! Please stop by and take a peek! Hi everyone, Jenny here today with the last of this month's 'Sponsor Spotlights'. As you will know we've been featuring just a few of the many wonderful designs this company have created ready and waiting for you to alter. It has to be said this was a bit different for me as I kept on adding layer after layer of texture and colour. I'll not bore you senseless with a blow by blow account but will tell you which products I used along the way. 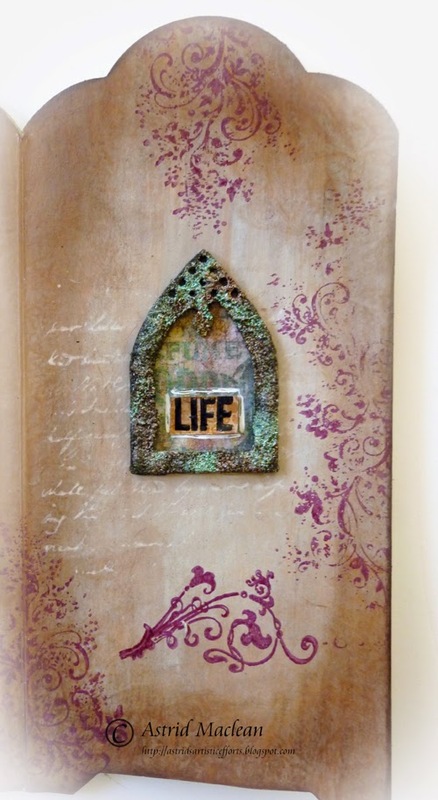 The base had book pages applied with a mix of Vintage and Lace Chalky Finish paints and some tan ink spray. 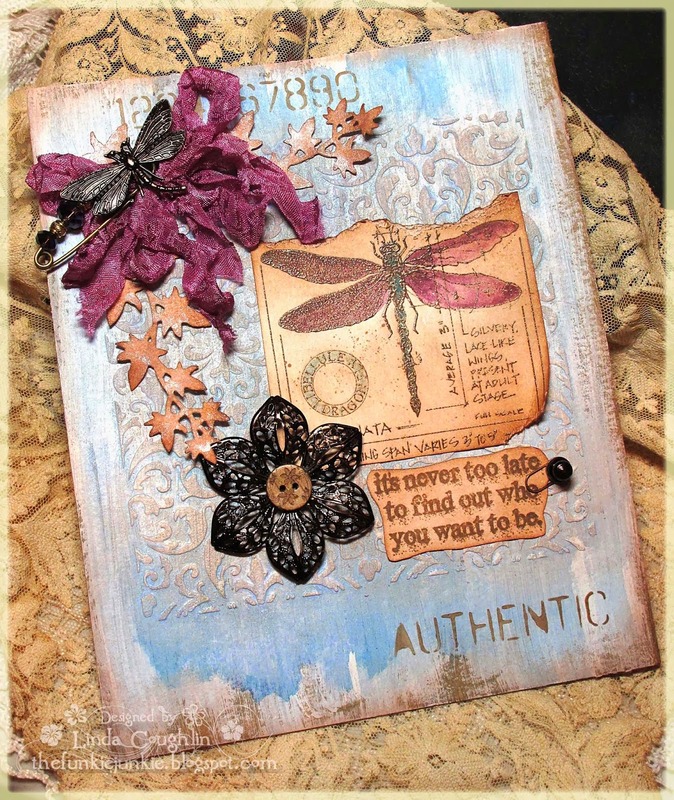 The stamping was done with Tim Holtz 'Distress Damask' set using Watering Can and Forget Me Not Archival Inks. Although difficult to detect on camera there are large hearts stencilled with Primitive Chalky paint and smaller ones with the Relic colourway together with some using Red Geranium Archival Ink and a black fineliner. 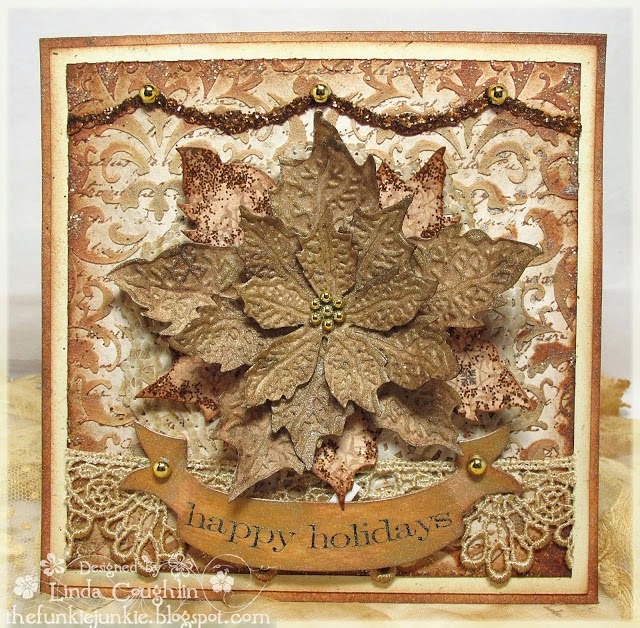 And then there's the stencilled damask pattern using Studio 490 Wendy Vecchi White Embossing Paste followed up with more splats of tan ink. The numbers were painted with the Vintage paint and the whole lot was splattered with even more of these paints (slightly watered down of course). When those numbers went on they disappeared a little into the background so I used some of the Relic paint to add shadows to one side of them (and you'll see it around the edges of the Chit Chat stickers). To add durability to the whole thing I applied a couple of coats of clear Americana Decor Creme Wax. Applied with a brush, this stuff is fast drying and doesn't smell. The finishing touch was to add some Rennaisance Treasure Gold to the clock hands and edge of the clock face. The slight pinkish tone worked well with the little hearts. This wasn't what I originally had in mind when the clock arrived but by allowing those creative juices to flow (and with no 'theme' to follow) it was an absolute joy to complete. 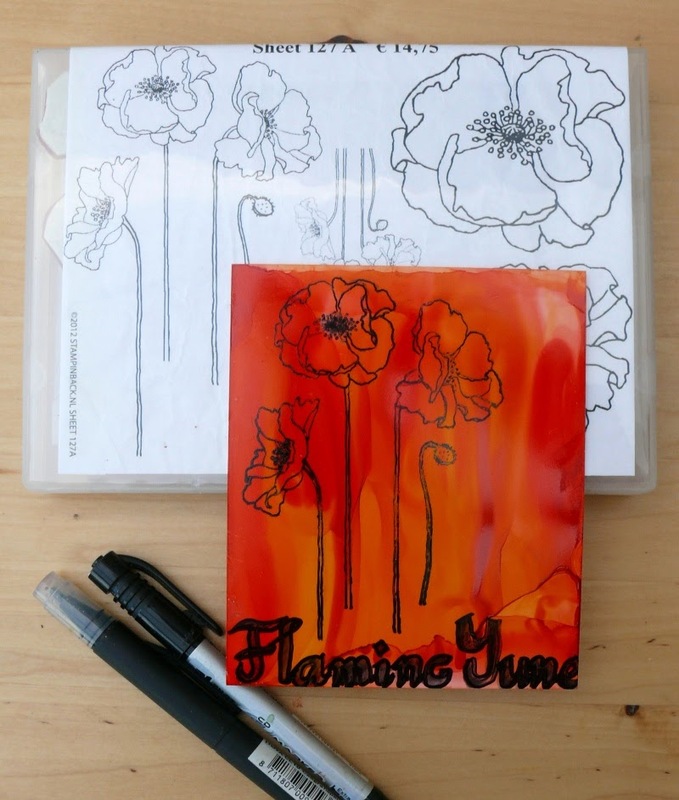 If you enter our current challenge 'Flaming June' you could win a fabulous prized generously donated by Tando Creative, but hurry as there are only a couple of days left! This month we are shining the spotlight on the winner of the 'With a Song in your Heart' Challenge that was hosted by Alison! 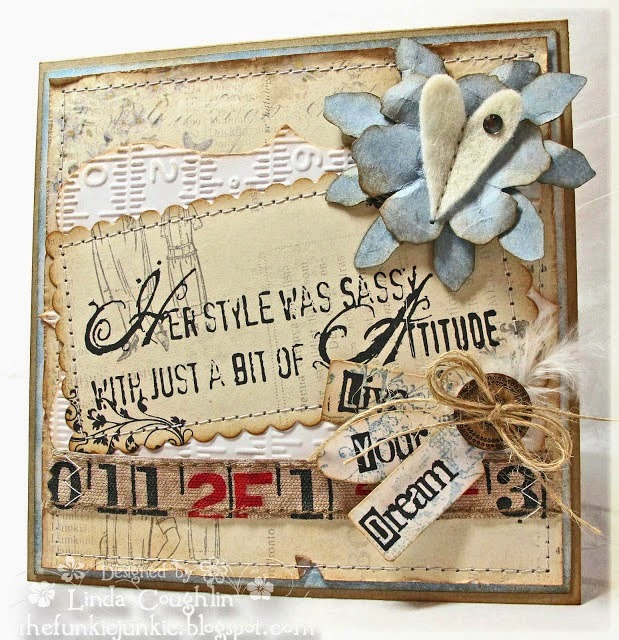 Our Creative Corner is so pleased to be welcoming Nikki from A2A-Addicted to Art. Nikki won the challenge with her beautiful altered bottle and at the same time gave us a wonderful trip down memory lane with a brilliant song! I live in Basingstoke, Hampshire (UK). I have been here for 14 years now although I originate from the Midlands. 2. How/when did you start crafting and blogging? I started crafting in November last year (2013) and blogging in January (2014) – actually I think my first post was right at the end of December. I remember thinking it strange that I was writing something and no one would see it. I don’t have lots of ‘followers’ but that’s the great thing about challenge blogs like this one, it invites people to see what you do. 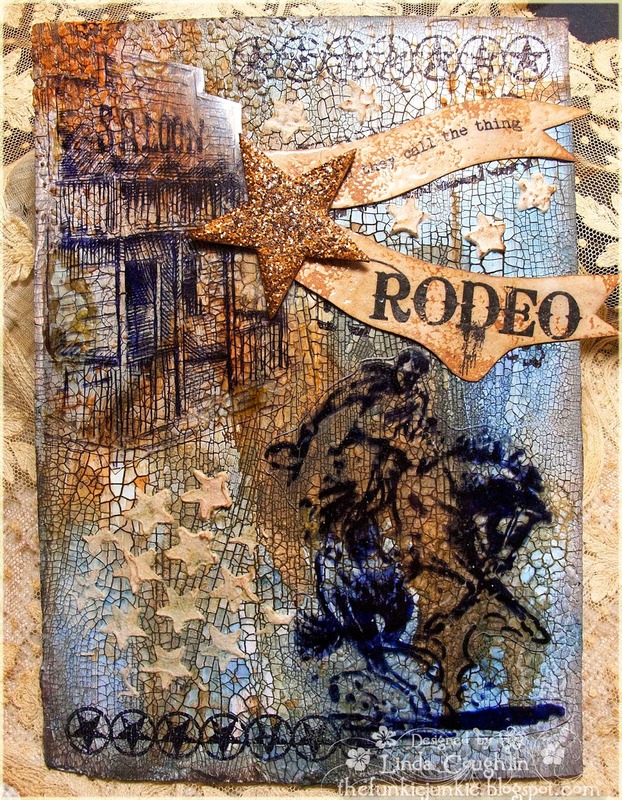 Although my craft only started a few months ago I have done different forms of art over the years – so I wasn’t new to everything – although I confess I didn’t know what embossing or die cutting was or hadn’t heard of Tim Holtz! I was introduced to it all through a friend I play badminton with when I visited her house to borrow a Halloween costume! Don’t you love how good things come out of the unexpected. 3. Are there particular crafters who inspire you? 4. What other things do you draw inspiration from? 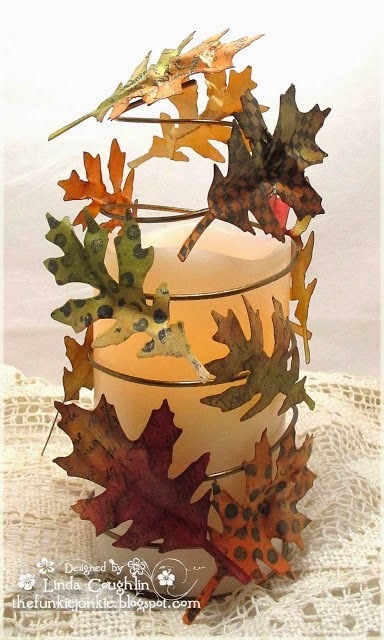 I don’t think I have done anything wildly original yet – I take inspiration from other crafters and merge them together. I would like to think I could be inspired by art. I love (abstract expressionism for example) and nature (I love old trees - their twisted roots and fabulous textures). 5. What's your crafting work area like? And do you work best in clear space or chaos? It is relatively tidy – I like to keep some order around me – although after a session crafting it tends to end up a little chaotic. I do try to tidy up regularly though and am definitely more comfortable with some sort of order. I cannot make anything without distress inks. 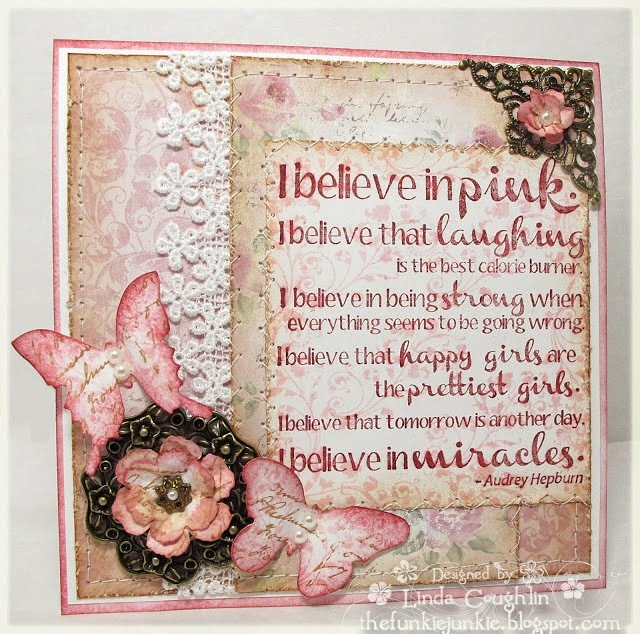 I think I would also struggle without some form of embossing / texture paste and a couple of fantastic butterfly punches and matching stamps I have. When I started crafting I bought some cheap stamps, some adhesive, girly ribbon strips and some geometric, brightly coloured patterned papers – nothing wrong with any of them, but probably not my style. 7. How do you spend your time when not crafting? I work, play badminton, go to the gym and run a little (although it takes a lot of motivation to do either) and the normal things: friends, family and housework (when I have to!). This is amazing Nikki! 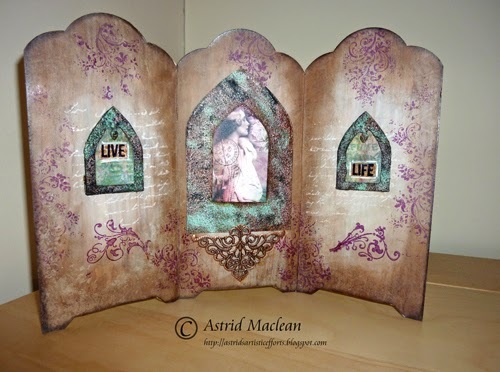 Such a beautiful work of art and creativity with so many gorgeous rustic details. It has been such an honour to feature you today at Our Creative Corner. 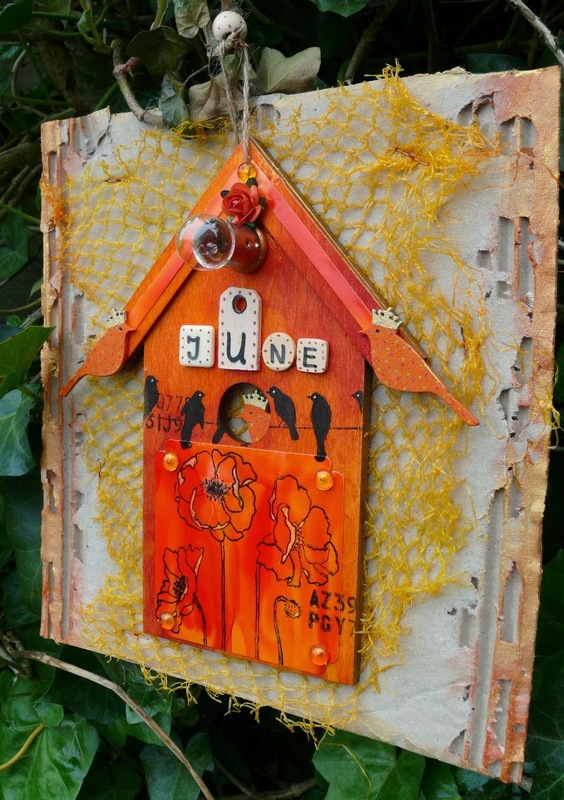 If you want to see more photos and details of this gorgeous creation and how it was made, then please go along to Nikki's blog A2A-Addicted to Art and say "Hello" - I am sure she would love to see you there! 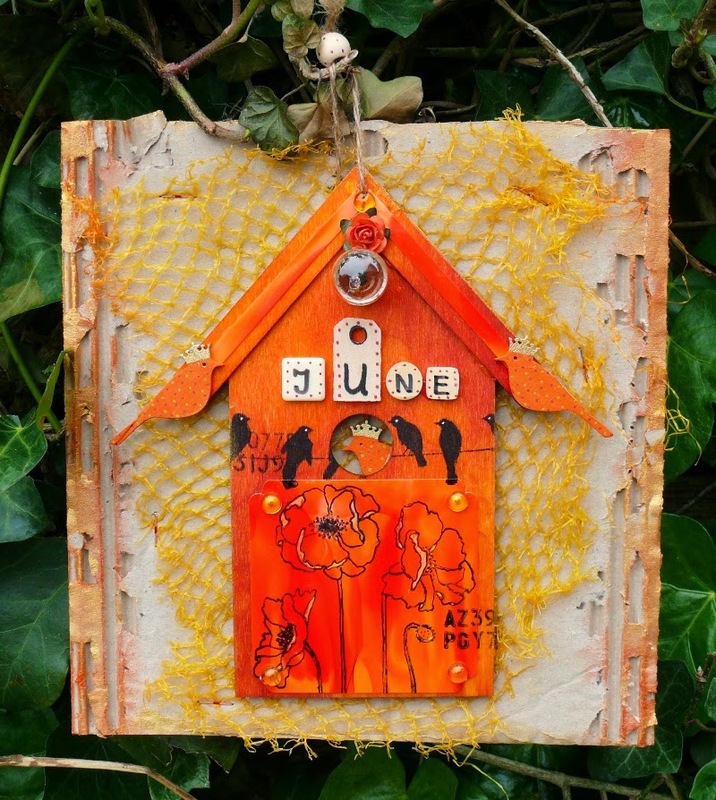 All you have to do is enter Julia's 'Flaming June' challenge. Dive into bright colours this month and discover the joy of orange! 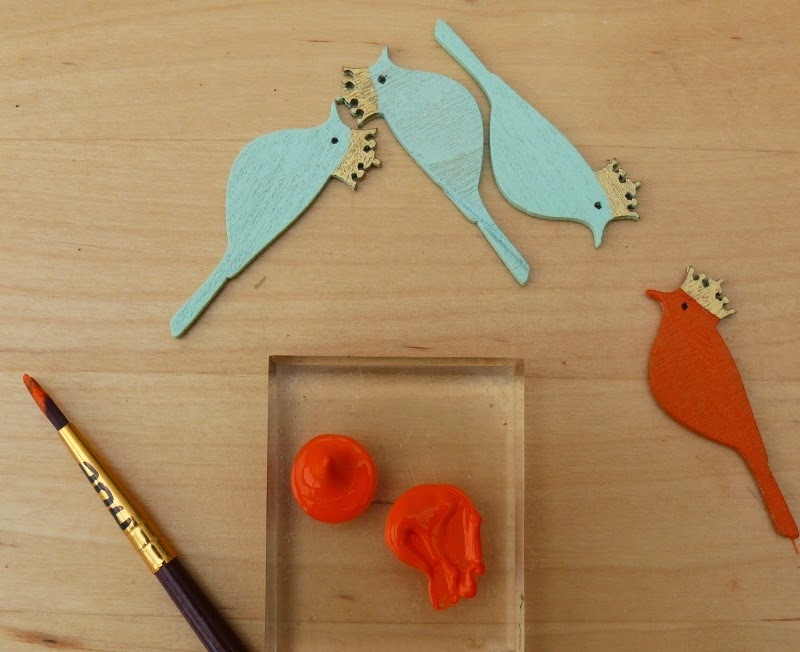 There is one more week of Julia's challenge left, so why not have fun creating! Welcome everyone and thank you for dropping by today. This is Astrid with a project for our second sponsor spotlight. 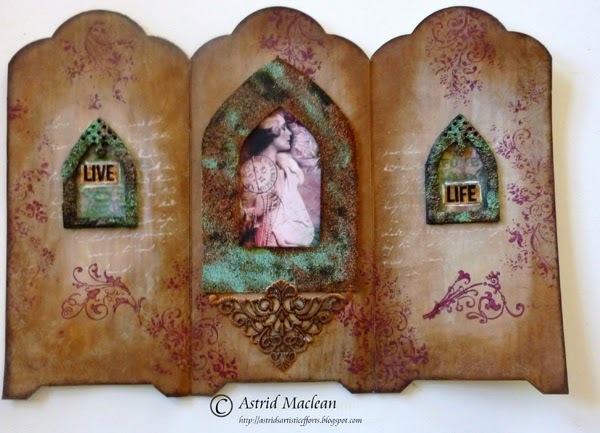 I happened to have a card blank triptych in my stash and thought it would be perfect to use the arches on. 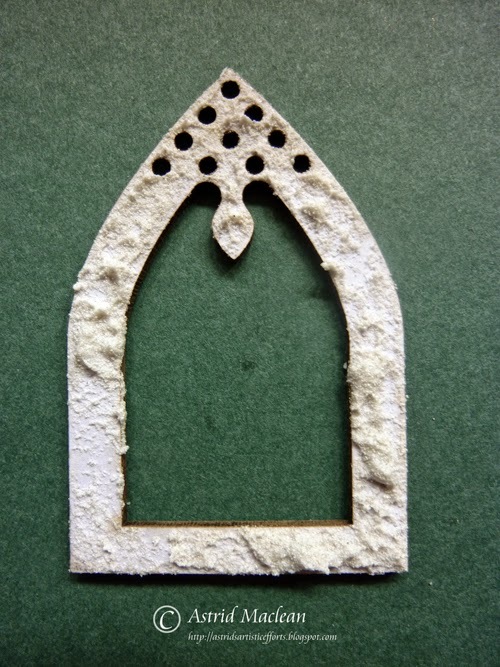 First I started by adding some texture to the little arches themselves by adding some texture paste. 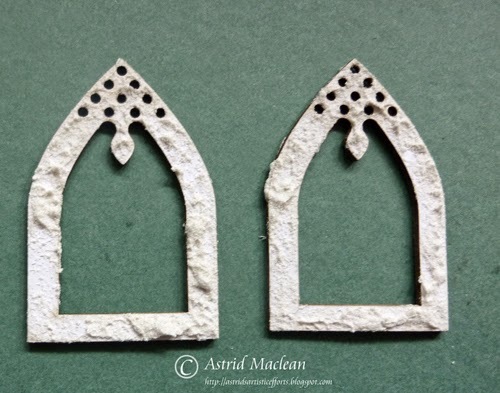 I used Liquitex Stucco paste, which really is like stucco, I applied it with my fingers to the little frames. 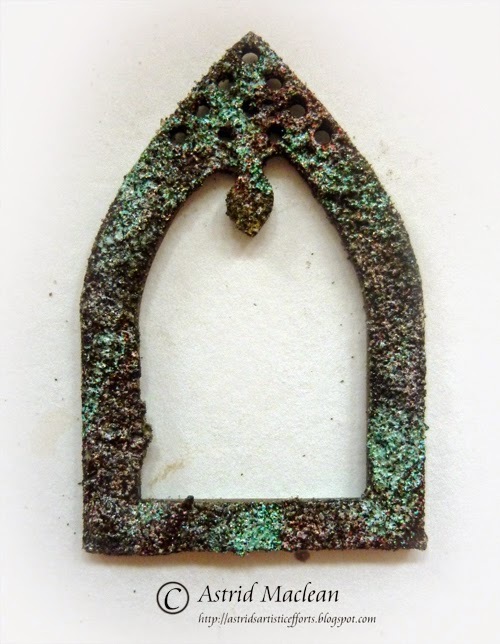 When the stucco had dried I rubbed a Versamark pad over it and then embossed with 3 different embossing powders: Ranger Antiquities Rust, Verdigris and Walnut Stain. I added a scrap of paper behind each and stamped a word too and adhered that to the little panels. 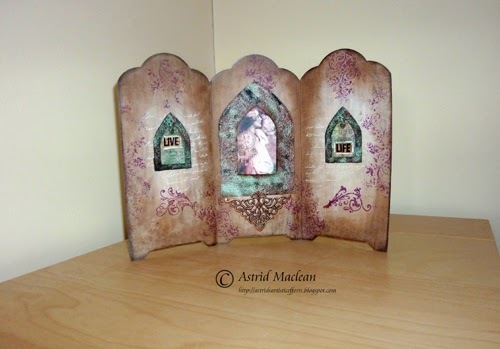 For the middle of my card I cut a larger Arch out of mount board with the Tim Holtz Arch Frame die and gave it the same treatment. 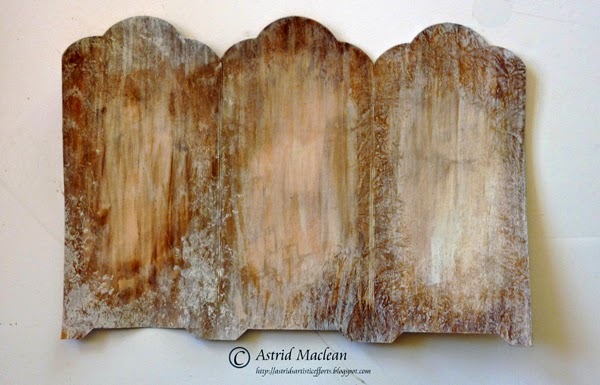 I wanted a kind of aged and distressed wood effect but then decided that would be too distracting behind the arches so blended Distress Inks, Pumice Stone and Gathered Twigs around the edges to tone it all down a bit. I then did some some stamping, both with Picket Fence Distress paint and Plum Archival ink and then adhered my arches. 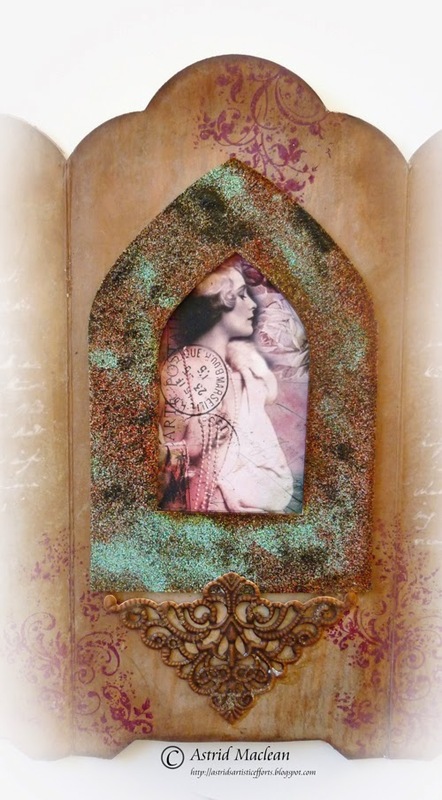 The central panel with a vintage photo from my stash and a metal embellishment. And the final one done in the same way as the first. Thank you so much for visiting today and don't forget to come back on the 22nd to see the winner from last months challenge appear as our 'Top Talent'! 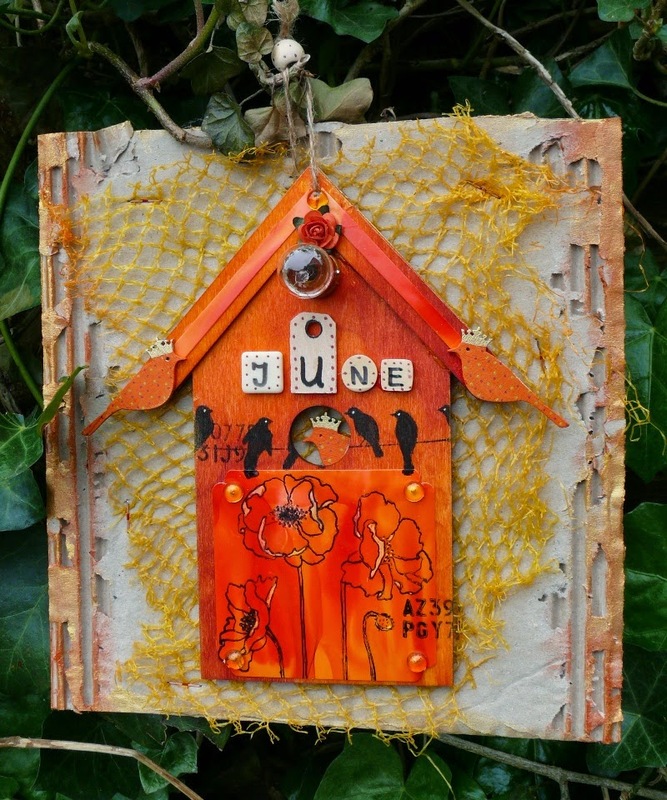 And Our Surprise Guest Designer For June Is. . . . . . . .
Hi everyone. Julia here again for the post I have been looking forward to the most this month. It is my absolute pleasure to introduce our Guest Designer for this month: the hugely, hugely, hugely (yes I meant to type that three times!) talented Alie Hoogenboezem-de Vries from Holland. I have long admired Alie's creativity and find her work inspirational. She is also a very sweet person too! What I love best about Alie's work is her versatility for so many genres. 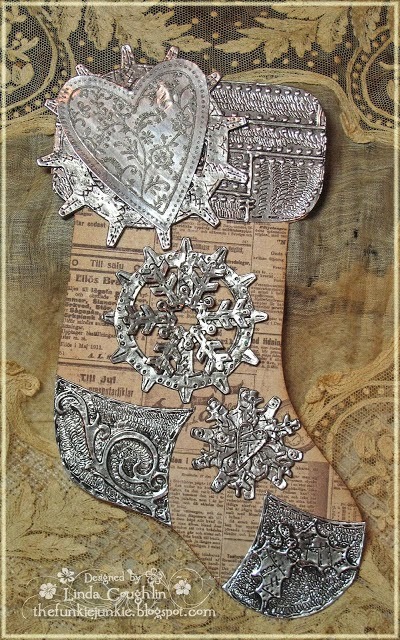 She is equally at home creating stamped masterpieces or altering old found objects that many people wouldn't know what to do with! Did I mention that Alie is also a stamp designer too. . . . .? Prepare yourselves for a treat as you scroll down. 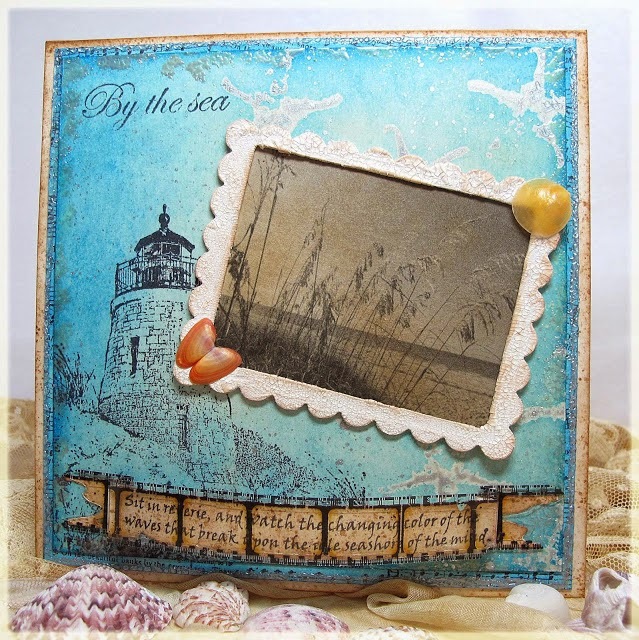 This is one fabulous tutorial and finished project from Alie. 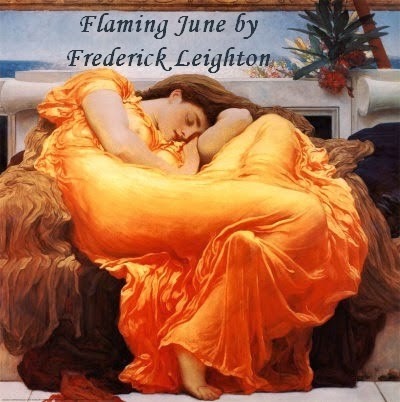 She has embraced my Flaming June challenge completely and in perfect style - just as I knew she would. 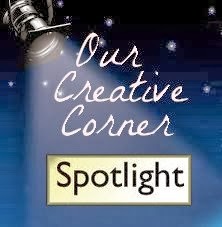 "At Our Creative Corner we have monthly Guest Designers who are chosen by the Challenge Host of that month. Julia is hosting the challenge in June 2014 and she has requested that I ask if you would like to be our Guest Designer for that month." 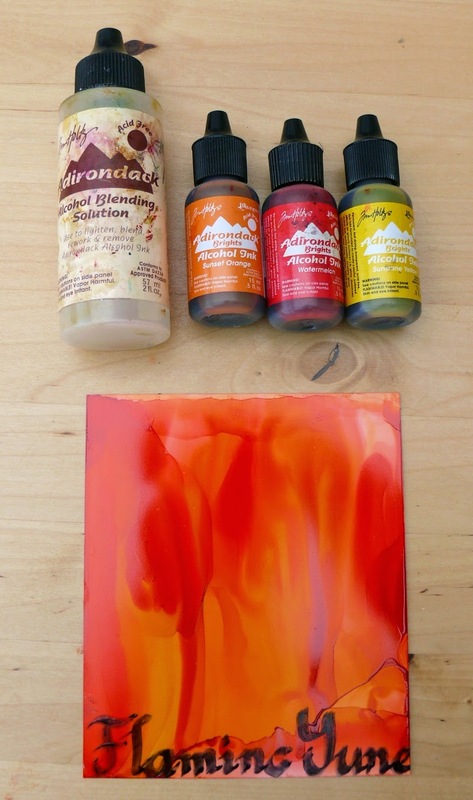 I immediately had to think of Alcohol Inks... and used them on Stampinback cardstock. 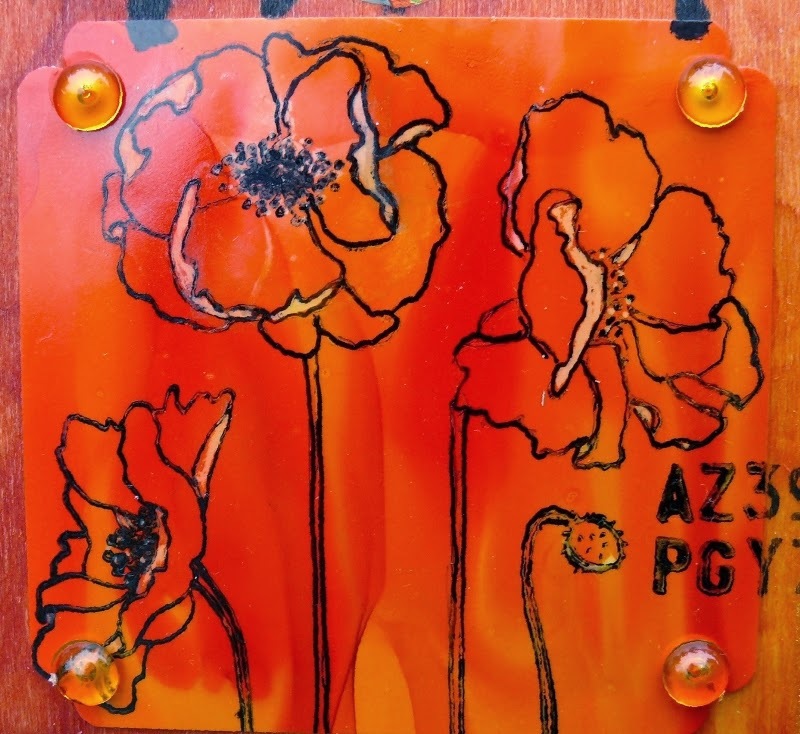 These poppies are stamps from Stampinback.nl...a real June flower, stamped with black Archival ink. A Stampinback Circle stencil on the sprayed wood and using a wet babywhipe to get a less dull background. 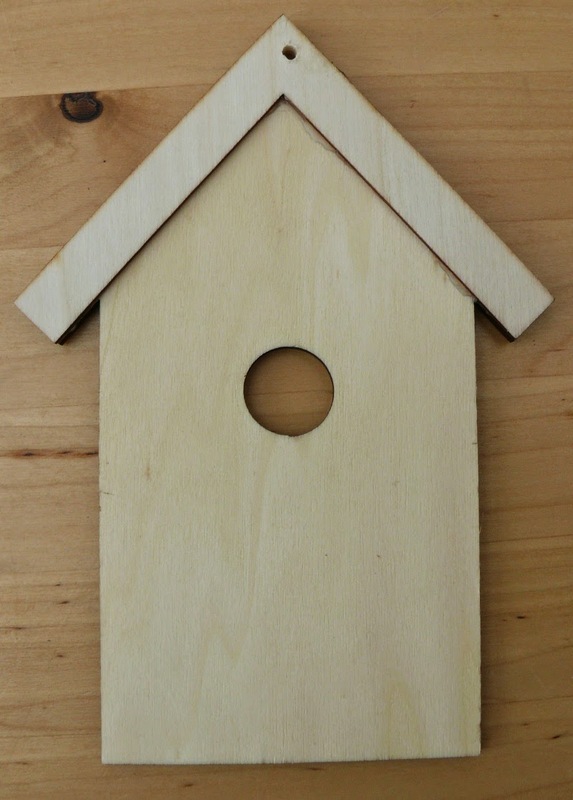 A birdhouse needs birds. 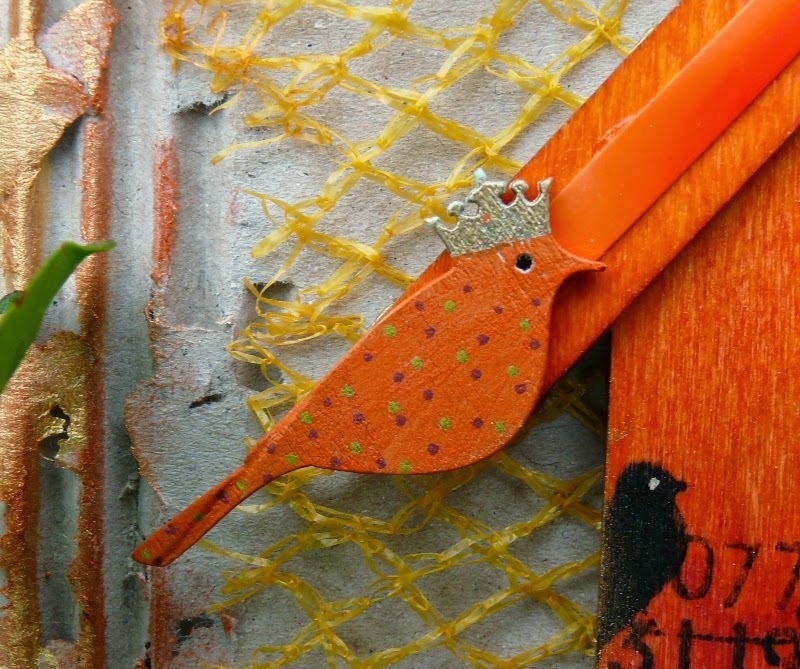 In the Netherlands, orange is a Royal colour so these crowned birds deserved to be orange too. I painted them with Amsterdam orange acrylic paint. I glued a flower and a light bulb on top of the roof. 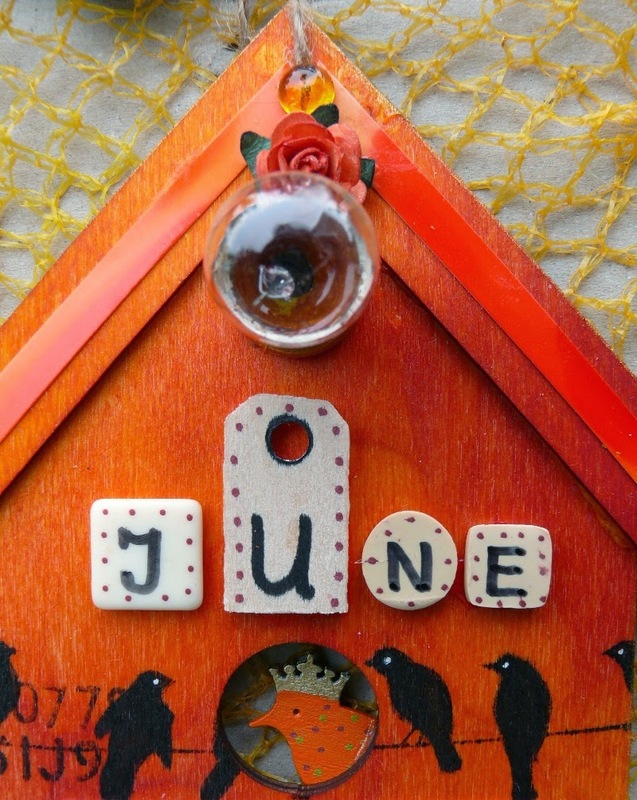 Used different wooden parts for the word June. Stamped the black birds (Hero Arts stamp) on the wood with Archival and inked them a bit more with a permanent marker. Behind the hole there still is a little Royal birdie in the nest!! But a few others already left the nest. Hard to catch the real colour, outside, so a few pictures of the final creation. 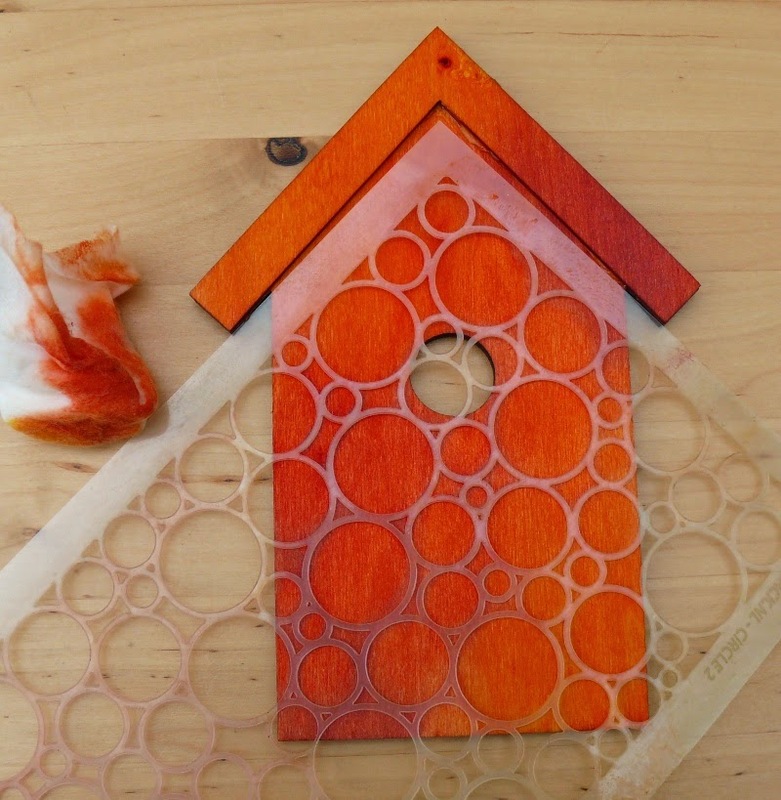 I had to cut off the lower part of the Alcohol inked card...the birdhouse wasn't long enough :-). Four dewdrops in the punched corners. And once again...but now for the last time...my interpretation of FLAMING JUNE. The background is ribbed cardboard from a box. I teared off some parts of the top layer and inked it with brown chalk and a bit of golden Acrylic paint. The yellow net is part of an onion net (no smell at all :-)). I used staples to adhere it to the cardboard. 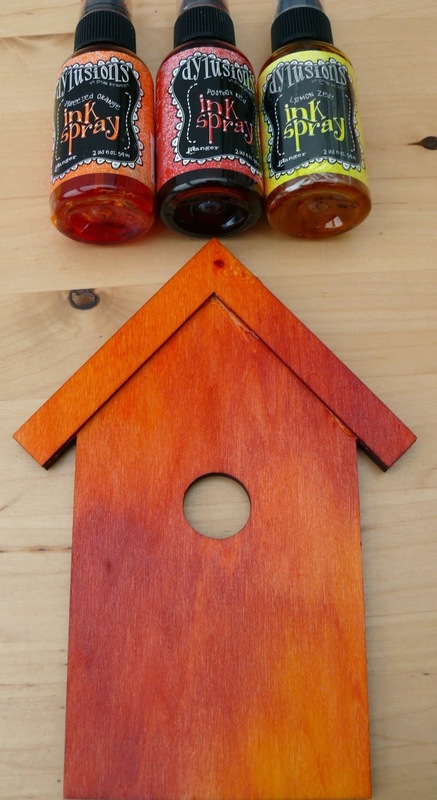 The wooden birdhouse I glued with Tacky Glue. Thanks a lot Laura, Julia and OCC for this invitation! It really was fun to create this Flaming June!